The superior imaging quality offered by the integrated acoustic and vibration isolation, the industry lowest optical beam deflection sensor noise of 25 fm/Hz, active thermostabilization, and specialized design of scanning-by-tip system enable regular high-resolution imaging. 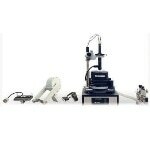 The equipment is provided with more than 50 AFM modes, including the HybriD mode—all advanced electrical, nanomechanical, and magnetic studies can be performed using the basic configuration. 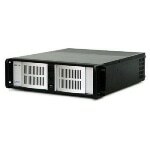 Samples arrays can be analyzed in an automated manner by a user-defined scenario using the database image storage. 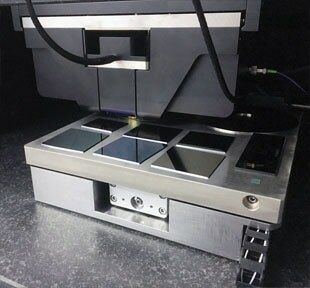 Samples with a size of up to 200 × 200 mm and a height of 40 mm can be inspected with a positioning accuracy of 1 μm, at any point. 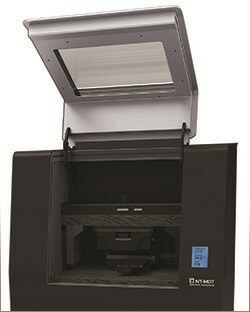 Scanning parameters can be optimized at just a single click with the help of the Smart ScanTronic™ software. 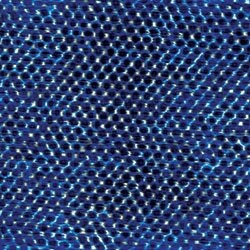 In contrast to being merely an algorithm, it is a specialized companion that helps new users of AFM to obtain images of industrial quality and also helps the experts. 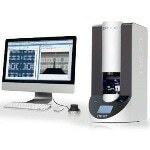 Expansive customization possibilities — integration of OEM sample holders and additional optical equipment, and automation of measurement and data analysis processes based on the user’s needs. 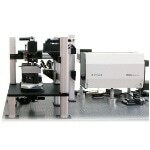 Since motorized sample positioning stage is in correlation with optical image, positioning accuracy of 1 μm can be achieved over an area of 200 × 200 mm. 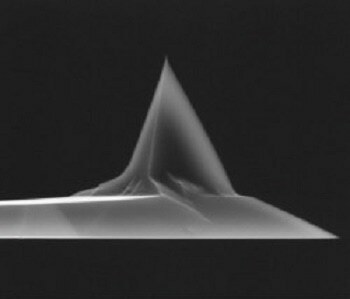 High-resolution measurements need an exceptional level of acoustic and vibration isolation of AFM working environment. 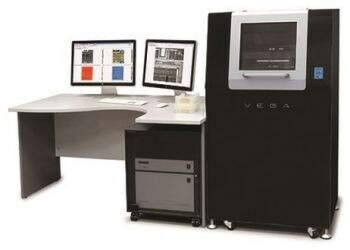 With the integrated acoustic enclosure and active anti-vibration system, VEGA is the ideal choice for demanding AFM studies. 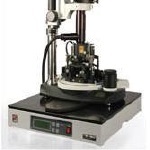 Thermal drift is a difficult problem encountered during long-term and high-resolution measurements specifically in the case of large-sample AFMs with huge mechanical parts. The specialized design of the build-in fan-free enclosure offers VEGA the potential to run at conditions of extraordinary temperature stability within 0.05 °C. 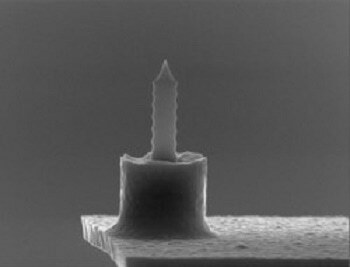 This ensures the excellent low thermal drift of <0.2 nm/minute. 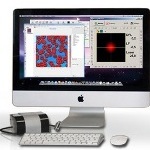 The specialized 100 × 100 μm closed-loop scanner and control electronics design from NT-MDT enables atomic resolution and topography measurement noise of <30 pm. The lowest OBD sensor noise of 25 fm/Hz of all commercially available large-sample AFMs is guaranteed by the 850 nm non-coherent superluminescent diode (SLD) source and the unique optical scheme design. Holders with options for sample temperature control, etc. 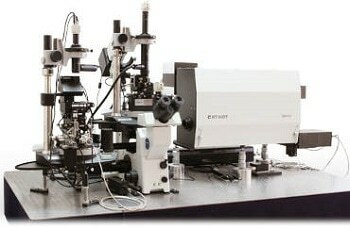 The sample XY-positioning accuracy of 1 μm makes it possible to integrate the equipment and correlate it with AFM probe position. Software engineers at NT-MDT can create specialized automation algorithms based on customers’ requirements. Self-assembled diphenylalanine peptide nanotubes: simultaneous topography, adhesion, d2C/dZ2, and in-plane piezoresponse phase (direction of polarization) measurements obtained by HD mode, 8 × 8 μm. HD PFM study of real-time temperature dynamic of TGS crystal near Curie point. Topography is overlayed by out-of-plane piezoresponse. Scan size is 15 × 15 μm. 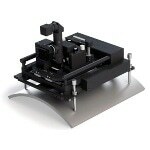 Superior signal-to-noise ratio, an MFM spatial resolution better than 30 nm, and the XY motorized stage with a size of 200 × 200 mm make VEGA an ideal tool for data storage inspection.